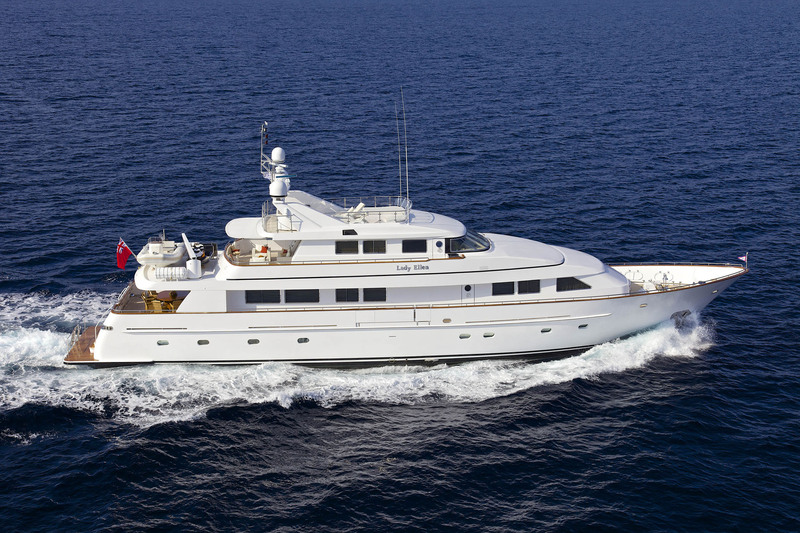 Motor yacht LADY ELLEN was built in 1996 by Benetti and upgraded in 2009/2015. 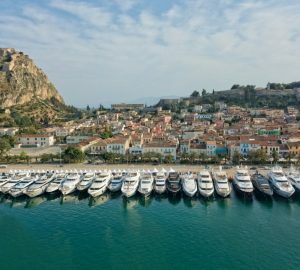 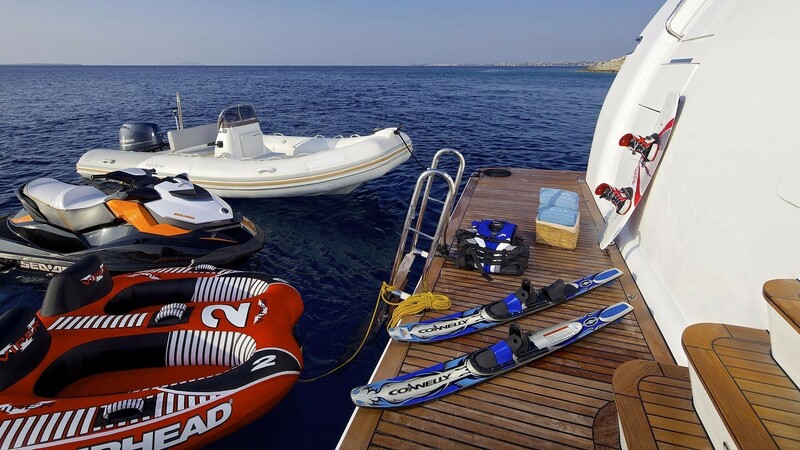 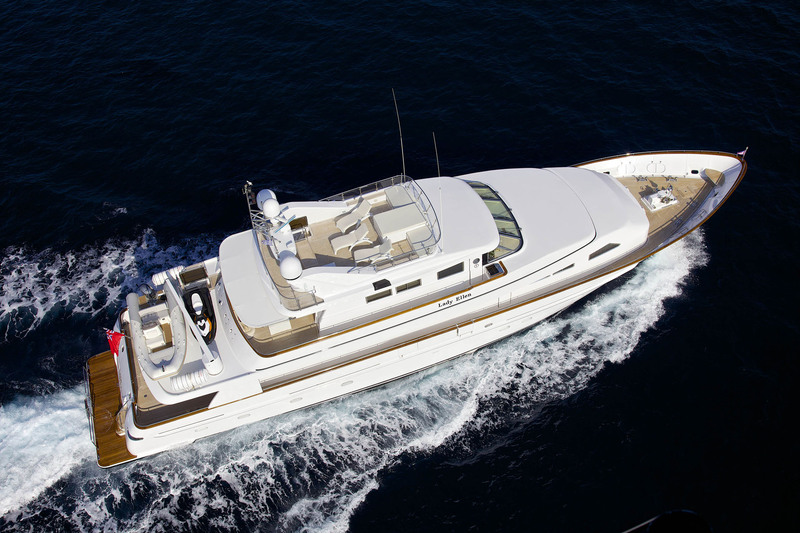 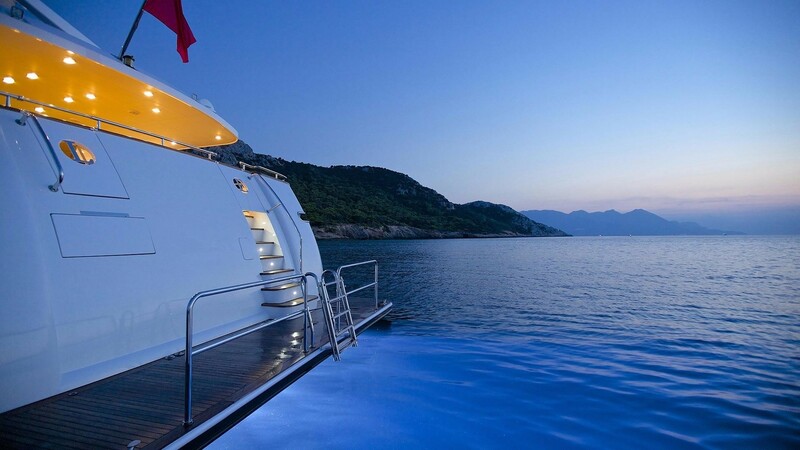 She is a 38 meter (124' 8") charter yacht offering accommodation for up to 10 charter guests in the East Mediterranean. 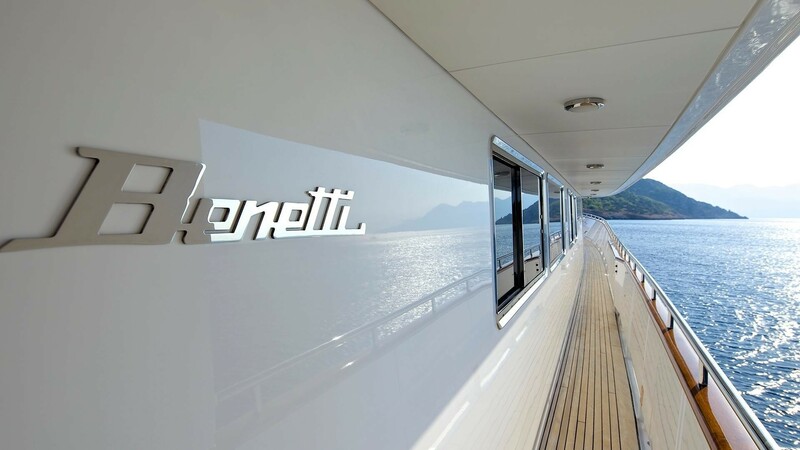 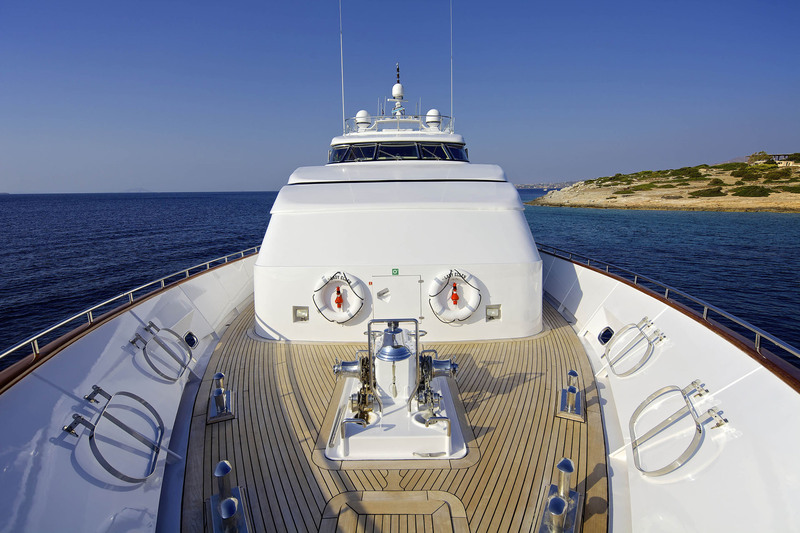 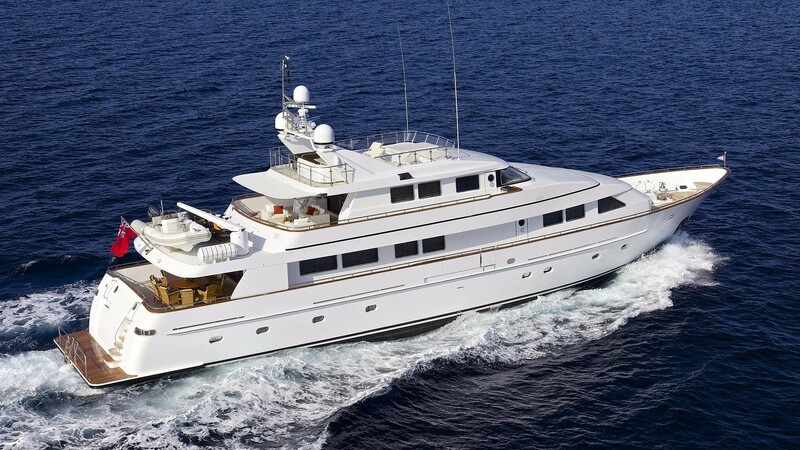 This lovely 118 foot Benetti motor yacht is the perfect vessel aboard which to experience turquoise waters of Greece. 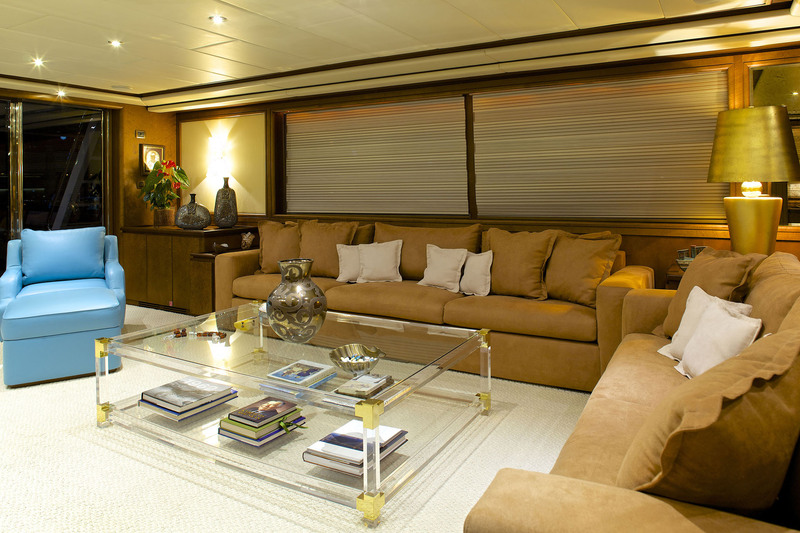 Her clean lines and graceful interior provide the atmosphere for an unforgettable experience. 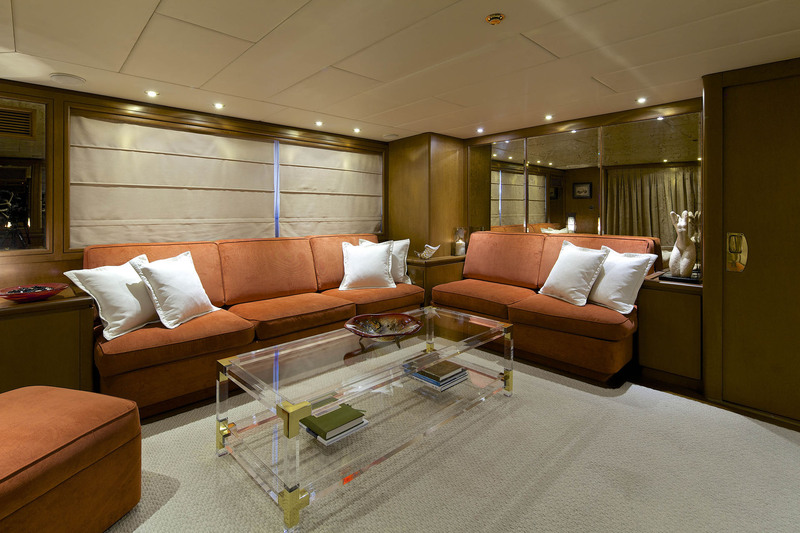 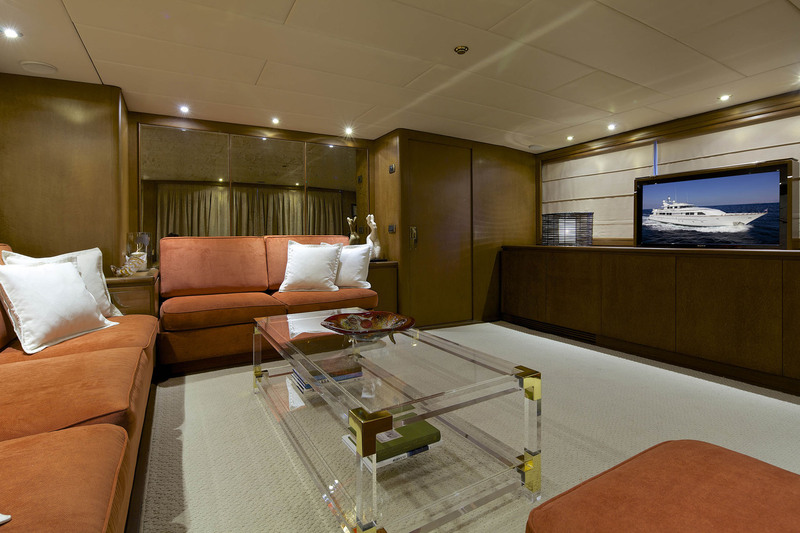 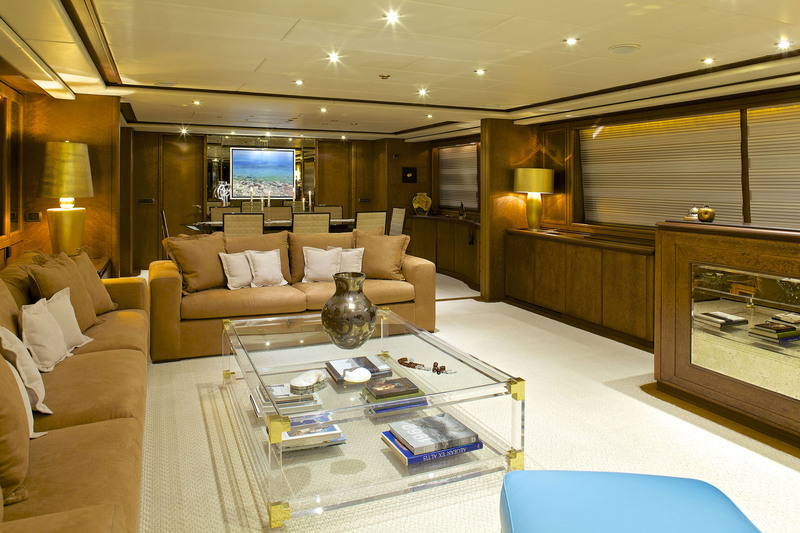 M/Y LADY ELLEN has 5 spacious cabins, a main saloon, Sky Lounge with cinema and outdoor sun decks. 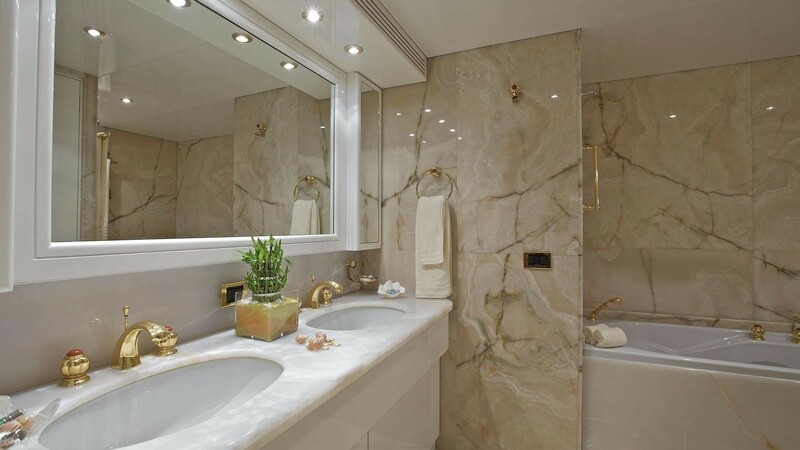 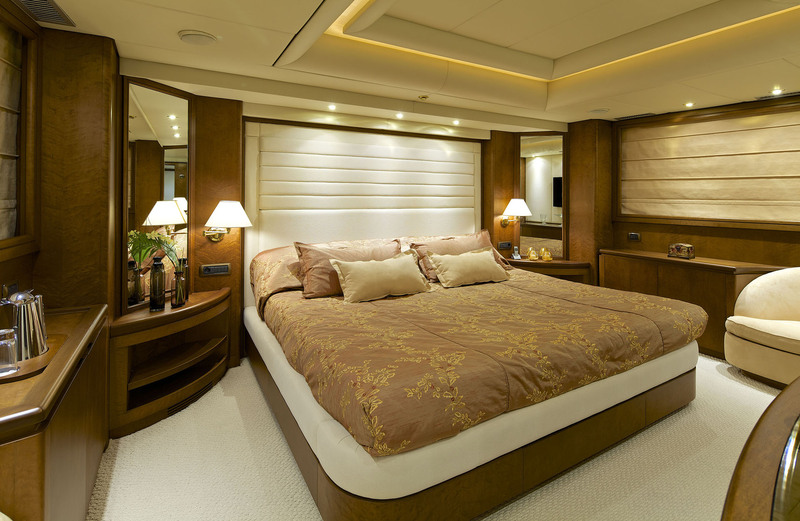 Her lavish master suite spans the full beam of the yacht, while the well appointed guest cabins and 2 salons create and interior full of elegance and tranquillity. 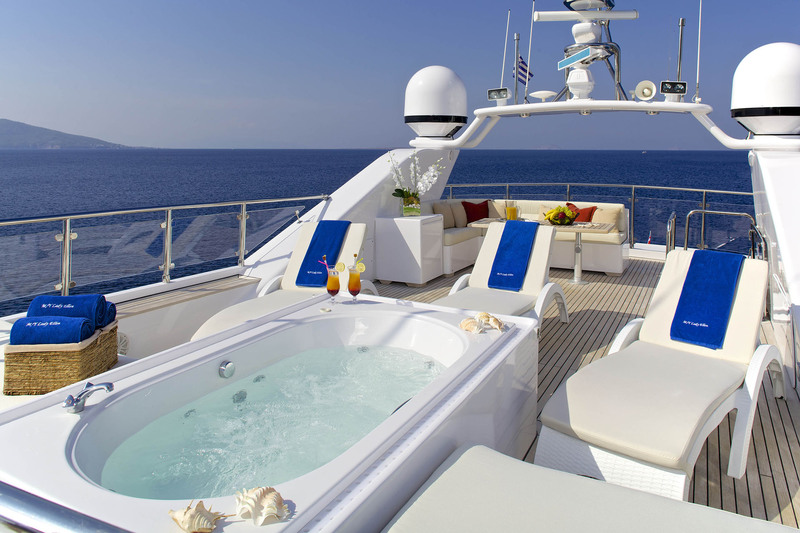 The casual flybridge with on deck Spa Pool is the perfect place to enjoy the sunset while sipping a glass of wine or cocktail. 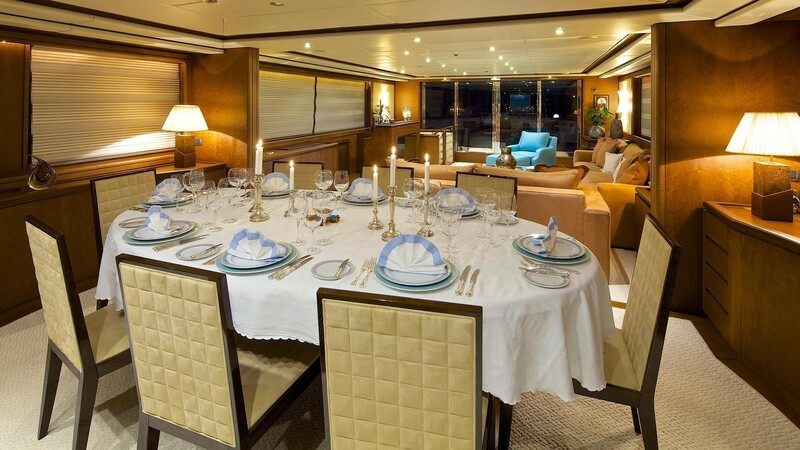 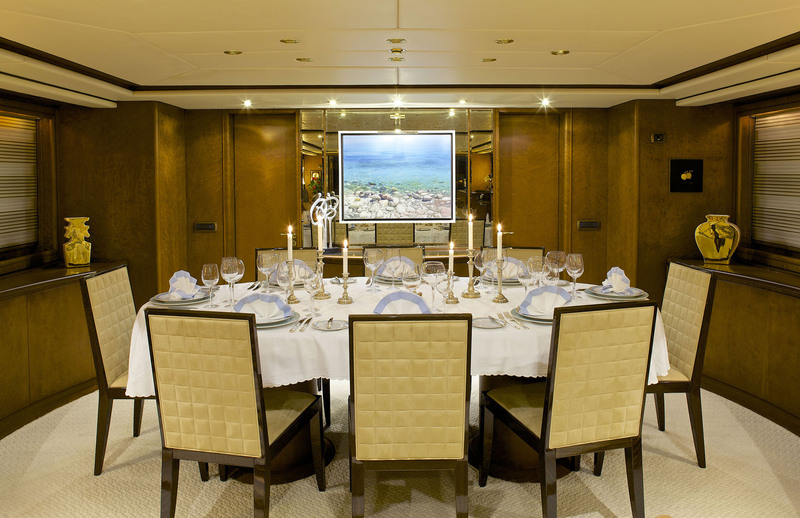 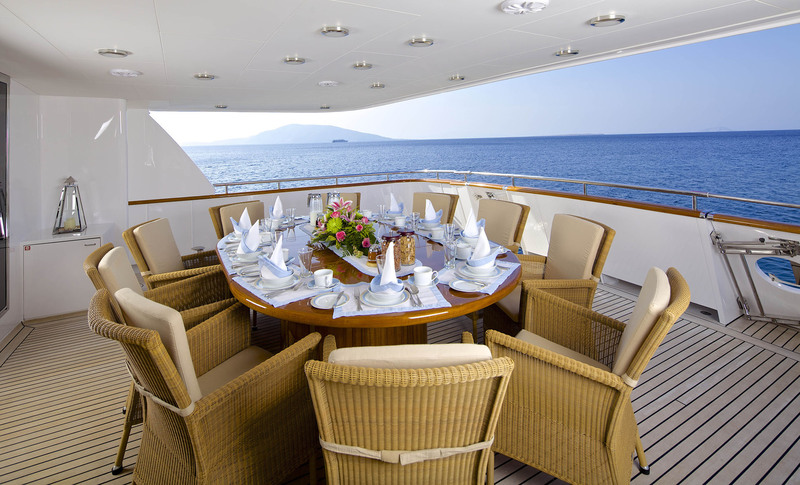 Her professional crew of 7 will provide gourmet cuisine, dedicated service and an unforgettable experience. 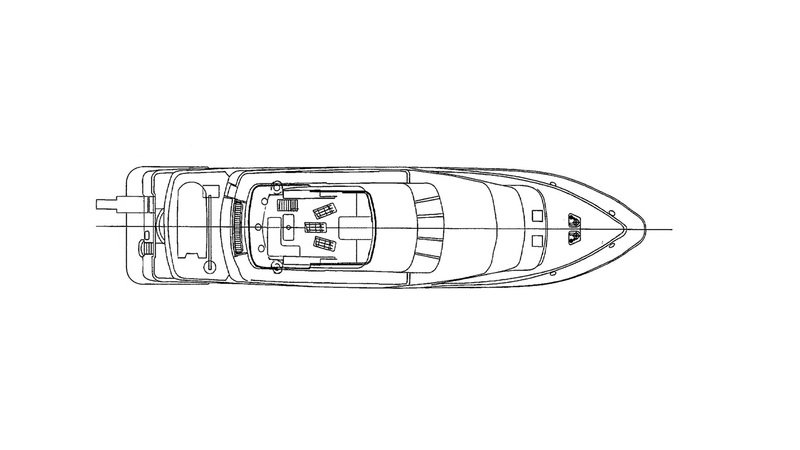 She has a cruising speed or around 11.5 knots and consumes around 180 Litres/Hr. 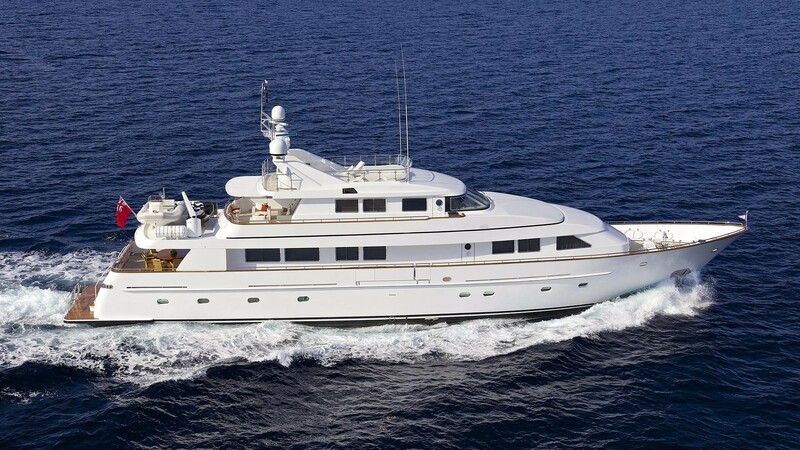 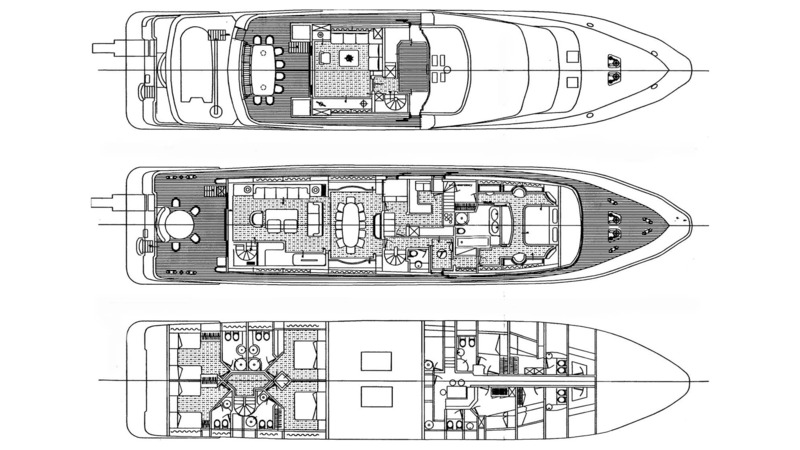 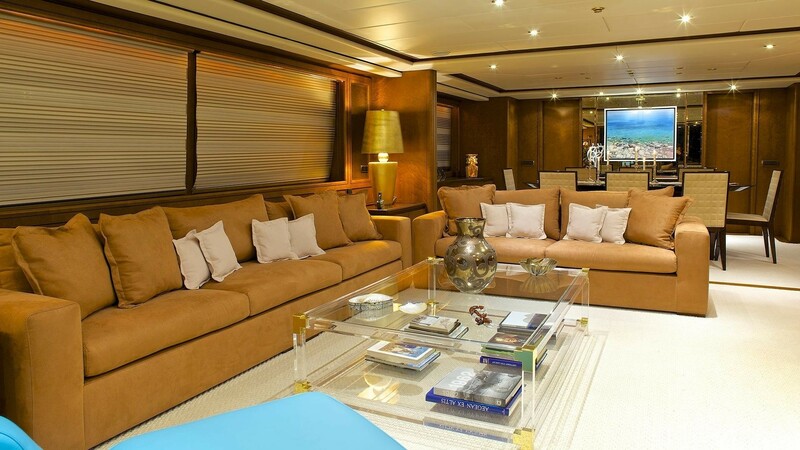 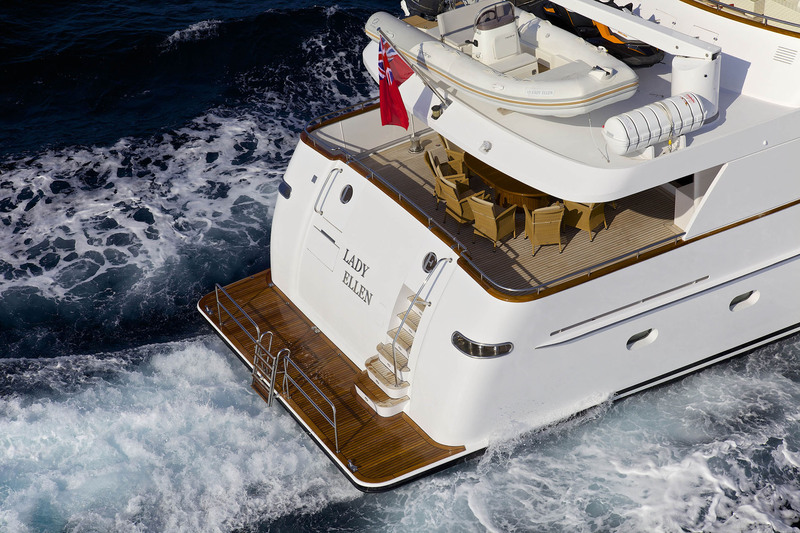 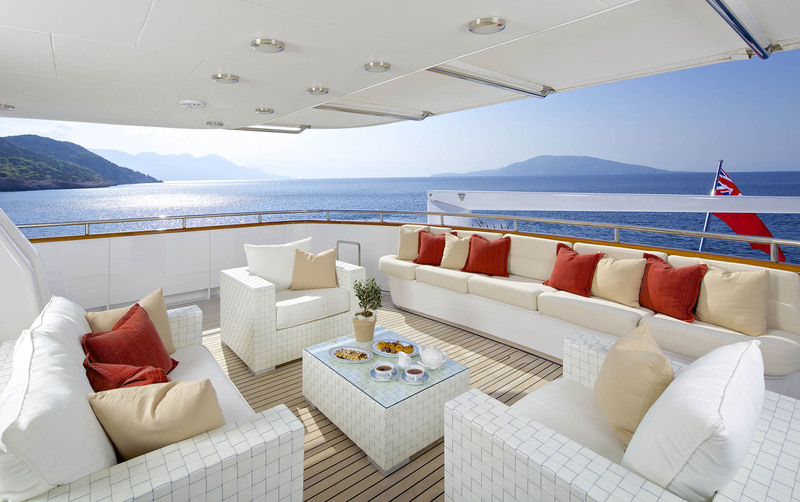 Luxury Benetti motor yacht LADY ELLEN can accommodate up to 10 guests in 5 cabins. 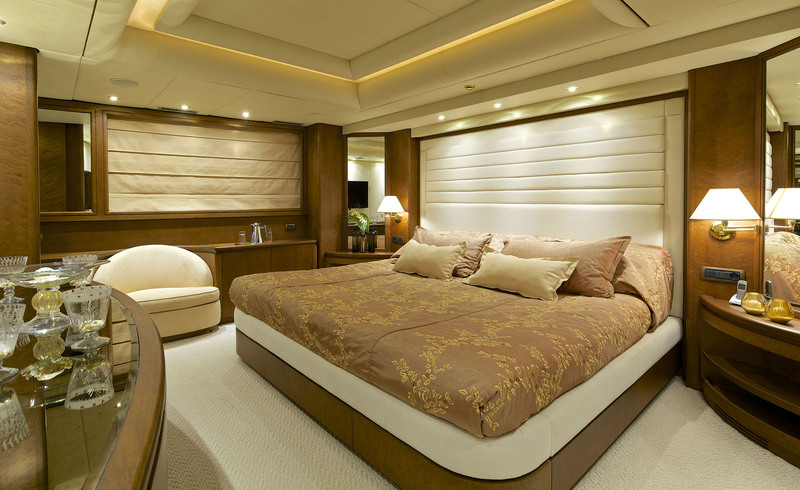 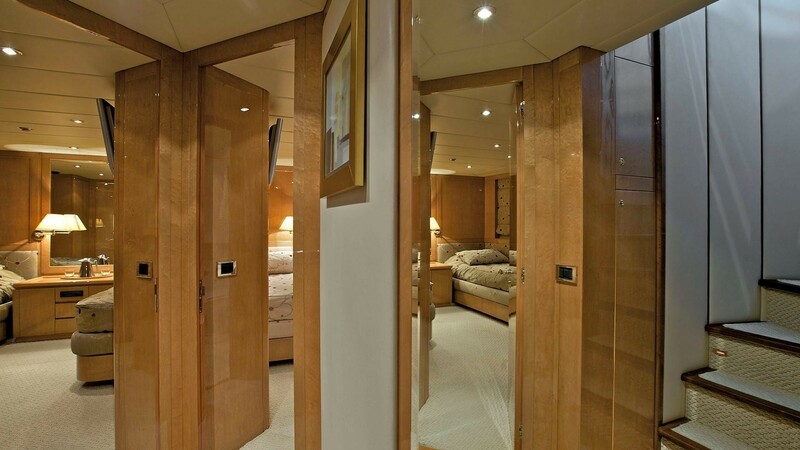 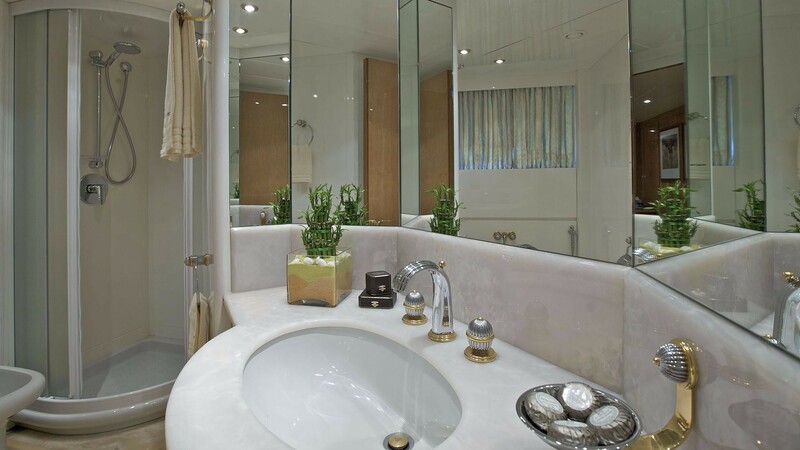 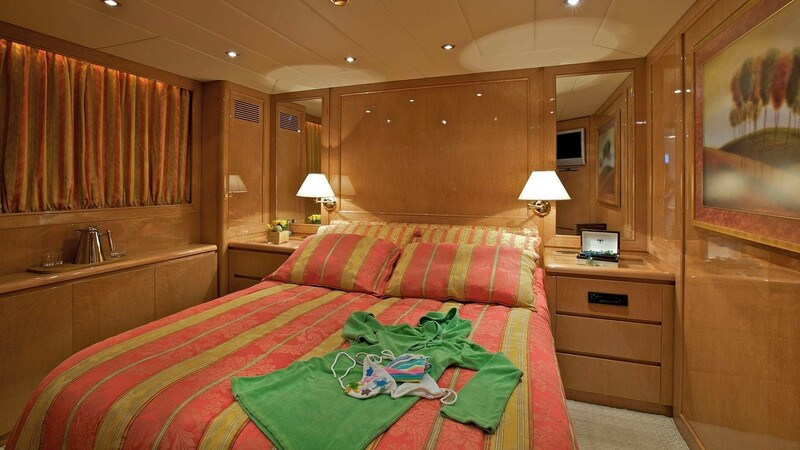 Her Master cabin on the main deck has an Emperor sized bed, with ensuite bathroom with Spa Pool and walk-in closet. 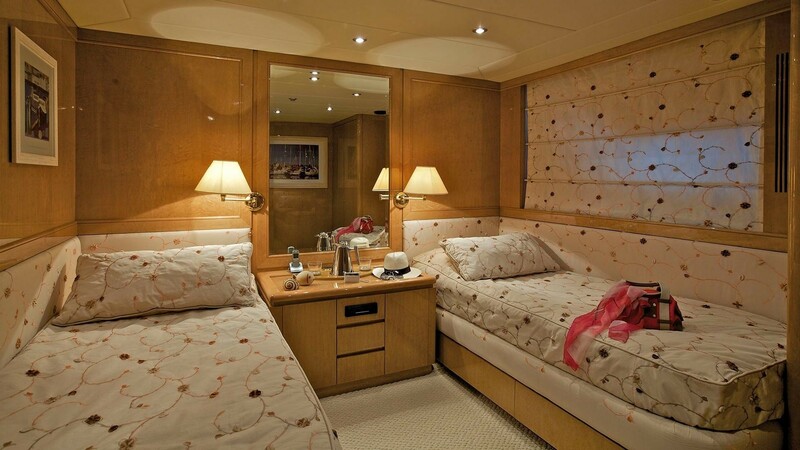 Her 2 VIP suites have queen size beds and ensuite shower rooms and there are a further 2 twin cabins with ensuite shower rooms. 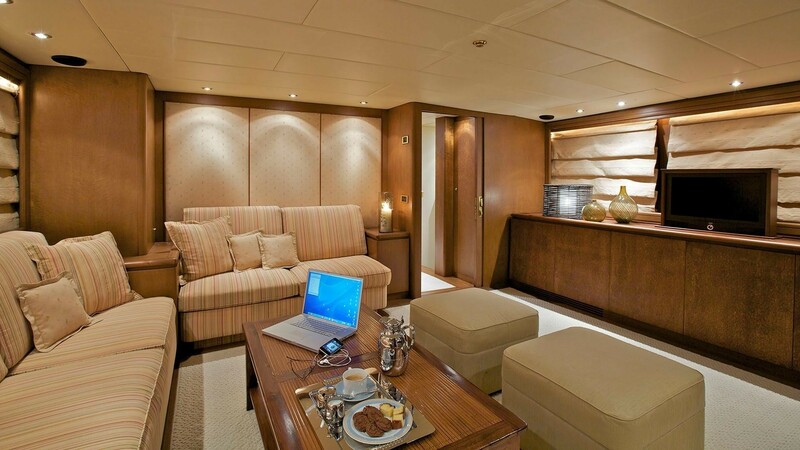 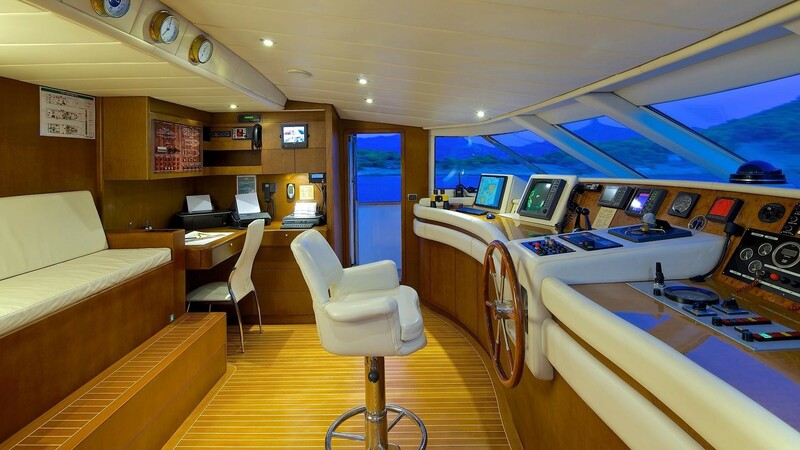 All of the cabins on board have satellite television and entertainment systems.